Practices tested Brian Bonin’s patience. He understood their importance but still tolerated them as a necessary inconvenience. After all, he had better things to do. “The rink” would be the patch of ice in Bonin’s front yard. It was his sub-zero Shangri La. Boot hockey games there were legendary. “Every day after practice we’d be out there,” said Bonin, who grew up in White Bear Lake. “We’re talking about some really, really good games and some fun times. A lot of the skill development happened there. You learn how to make moves and score. All that unstructured play molded Bonin into a skating and stickhandling cyclone. As a sophomore in 1989-90, he burst on the statewide scene with all the subtlety of a keg of dynamite, scoring 25 goals and adding 28 assists to lead White Bear Lake to the state tournament. The Bears lost 5-1 to eventual champion Roseau in the quarterfinals. They rebounded by beating Burnsville 5-4 in the consolation semifinals and Bloomington Kennedy 5-4 in double overtime in the consolation finals. Bonin figured the experience would be good for the Bears. There was no doubt they would make at least one more appearance on the big stage. 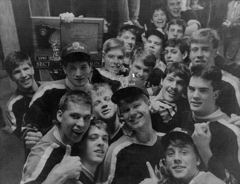 In 1991 the Bears were leading Hill-Murray 3-0 in the Section 3 title game and, seemingly, well on their way to another state tourney trip. The Pioneers rallied for a 4-3 victory and went on to win the state title in dominating fashion. 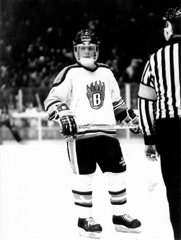 Bonin’s senior season was marred by a shoulder injury, but he still managed 23 goals and 35 assists despite sitting out several games. 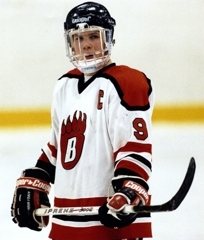 “He could see the rink very well and he could handle the puck very well,” former White Bear Lake coach Tom Simpson said about Bonin, a savvy 5-foot-9 forward. 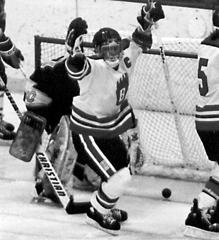 “He would run our power play; he would be on the man short. 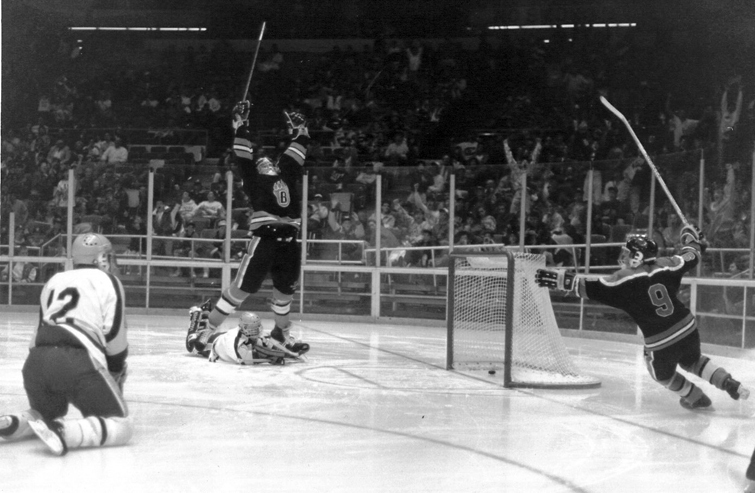 Bonin’s return to the lineup was expected to give White Bear Lake the spark it needed to reach the 1992 state tournament. 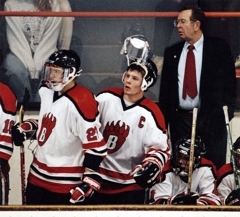 Instead, the Bears were stunned by Mounds View 3-2 in the Section 3 quarterfinals in one of the more memorable early round upsets in state playoff history. Certainly, Bonin won’t forget the loss. 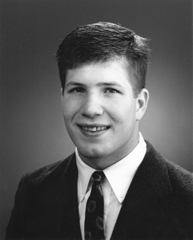 Bonin, who was named Mr. Hockey that spring, had accepted a scholarship offer from the University of Minnesota. 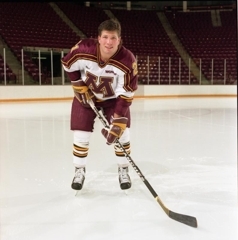 He scored 100 goals and added 116 assists in 166 games for the Gophers during a four-year career that culminated with winning the 1996 Hobey Baker, the award given to college hockey’s best player. 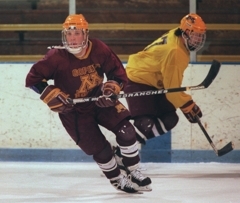 Bonin played in 12 NHL games during a seven-year professional career that ended in 2003. 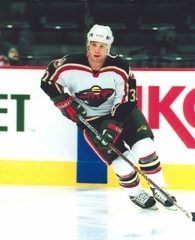 He played seven games for the Minnesota Wild in 2000-01. A sales representative for healthcare company GlaxoSmithCline, Bonin lives in White Bear Lake with his wife, Rachel, and their three boys, Ben, 10, Brendan, 7, and Jude, 5. Bonin coaches youth hockey and still organizes a weekly pick-up game.